Affordable upgrades. Window replacement is a fantastic way to improve your home while keeping costs low. At ClearChoice Windows and Doors, Inc we install replacement windows in a wide range of styles and quality materials to match your home's style and fit your budget. We work with leading window manufacturers to be able to offer the best products and warranties. No matter what your reason for replacing your house windows, ClearChoice Windows and Doors, Inc is the window installer you need to help you choose the perfect replacement windows to solve all your needs. Call us or click below to schedule a free window replacement cost estimate in Riverside, Fontana, Rancho Cucamonga, or nearby California. ProVia provides four different high quality product lines to solve any and all replacement window needs. The products include multiple styles, materials, and colors to ensure that you can find the perfect solution for your home. Endure: Endure Windows are energy efficient, high performance vinyl windows that have been independently tested for strict energy standards, including ENERGY STAR®. These windows will help reduce your heating and cooling costs while providing a beautiful finished look for your home. Aspect: Aspect Windows are custom vinyl windows that come with an innovative multi-chambered frame and sash design, as well as triple weatherstripping and high-tech glass for maximum energy efficiency. These windows are ENERGY STAR® certified. ecoLite: ecoLite Windows use a unique glazing system for increased thermal performance, warmer glass temperatures, and reduced interior condensation. These vinyl windows come with ProVia's Limited Lifetime Warranty and our ENERGY STAR® certified. Aeris: Aeris Windows offer a unique design of a maintenance free vinyl exterior paired with a pre-finished wood interior. Aeris windows provide unsurpassed appearance and excellent energy efficiency, including an ENERGY STAR® certification. Aeris windows come in a variety of styles and can easily be painted or stained to match your home's design. All ProVia replacement windows will provide you with a beautiful, energy efficient upgrade for your home. Your local ProVia dealer will help you identify the best solution for your home and provide a quality installation. 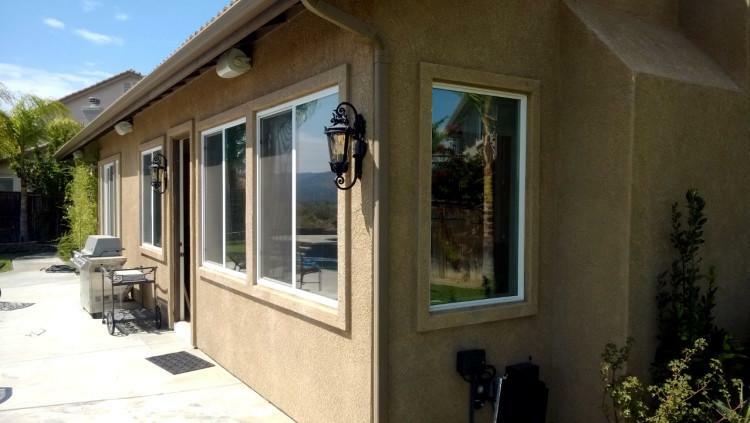 ClearChoice Windows and Doors, Inc is the trusted window and door contractor of Riverside, Fontana, Rancho Cucamonga, Corona, El Monte, West Covina, Rialto, Chino, Chino Hills, Baldwin Park, and many surrounding areas in California.